Please kindly note that the color will be sent at random. Make sure you don’t mind before you bid, thank you! 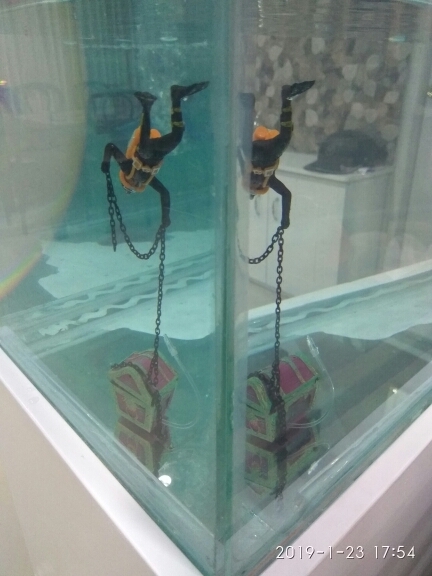 Chest sink to the bottom, divers from the “chains” attached to the chest suspended in water, along with oxygenation, divers in the water floating swing, like chest should strive to explore the way, is very nice and funny. Range of motion is different depending on the size oxygen gas. Vary depending upon the range of motion of the different oxygenated gas. The air hose with decorations on the adjustment of the valve or pump connections. Put into the aquarium decorations and fixed position. Adjust the air pressure to make decorations to get your ideal motion effects. very good packing , item is good quality . Fully recomended .. . .